In June, Google announced they’re re-branding Google AdWords to “Google Ads.” This move makes sense, since Google Ads aren’t just “words” anymore – there’s YouTube, Display, Gmail, Shopping, Maps, etc. – all of which go way beyond traditional text ads. The change doesn’t reflect any functionality changes, though, and is more just a name change. Of course, it’ll likely take a while for people to stop using the AdWords monniker, but I think most marketers would agree the change is a good move. Google recently announced a new campaign type – Smart Campaigns. Smart Campaigns will be the default campaign type for all new Google Ads advertisers. Google created this campaign type with small businesses in mind, and the campaigns are almost entirely automated – from ad creative to optimization. The advertiser will pick the goal they want to optimize for – phone calls, website visits, or requests for directions – and Google will optimize toward that goal. Similar to Universal App campaigns, Google will show Smart Campaign ads on any of their properties (i.e. Gmail, Display Network, YouTube, etc.) and advertisers cannot opt out of any specific channel. You might be wondering – how will Google generate the creative? The answer is: they’re going to use the advertiser’s Google My Business page to pull images, addresses, etc. for the ads. Eventually, Google will even be able to create and host auto-generated landing pages for businesses that don’t have websites. This campaign type is obviously good for small businesses who want to manage their AdWords accounts, but who aren’t well versed in the nuances of paid search optimization. However, most experts will likely stray away from this campaign type due to its lack of flexibility. Bing came out with a few updates to their interface that make it easier execute bulk changes and conduct analysis. First, it’s now much easier to adjust location target settings and bid adjustments across multiple campaigns. (See screenshot below). Second, there are now more metrics available in Dimensions reports – including age, gender, geographic, time quarter, ad spend, and revenue. This addition of new metrics will naturally make it easier for advertisers to make optimizations based on these factors. 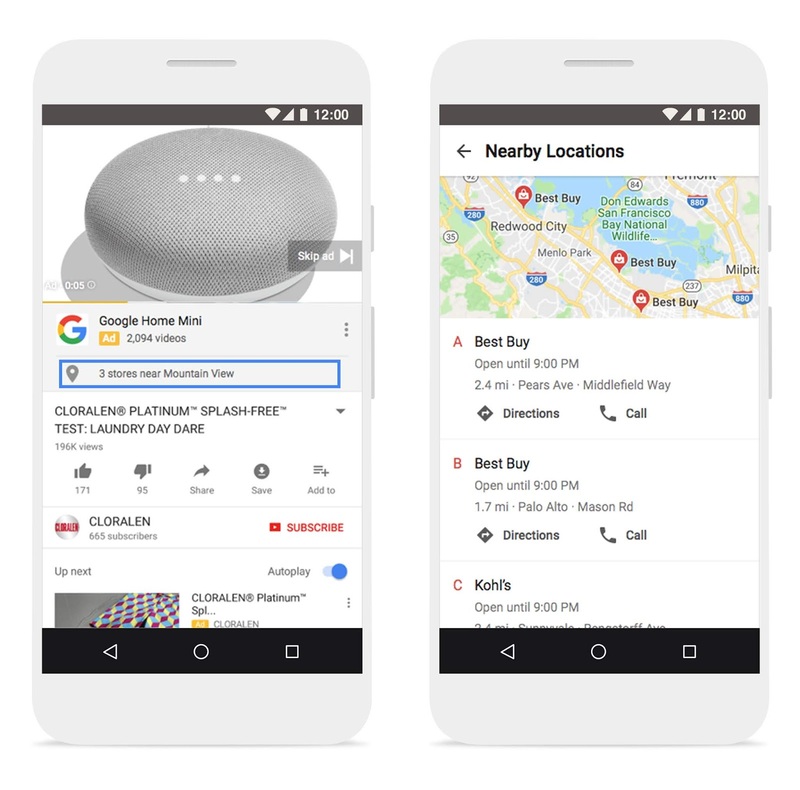 There have been several recent helpful Google innovations for retailers, manufacturers, and businesses that have physical locations. The first is the expansion of affiliate location extensions to YouTube ads. These extensions show users where they can buy a particular product. This extension is really beneficial for manufacturers who want to be able to drive and measure foot traffic to stores that sell their product. For example, if you’re an electronics manufacturer, your ad would show and as part of that ad the user would see a few nearby Best Buy and Target locations that sell your product. The second innovation is the roll out of local catalog ads to the Display Network. These ads are an interactive experience and include a hero image and your inventory in a scroll-able mobile layout designed to help shoppers explore your products. Shoppers will also see the pricing of items and whether they can be found in store. Lastly, another great innovation is “price benchmarks” on Google Shopping. 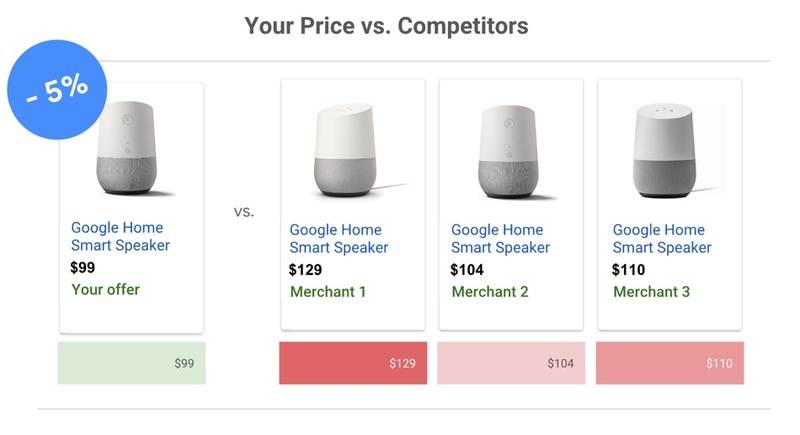 These are kind of like auction insights, but for retailers advertising on Google Shopping. They allow advertisers to see how competitors are pricing the same products. This is especially useful for troubleshooting performance dips or for making bidding decisions (i.e. you could bid up on a certain product if you know it’s competitive in the current market). I hope you’re ready! If not, you may want to get acquainted with the new UI – it will soon be the only way to manage your account 😊. There you have it! Lots of interesting things going on this summer for paid search. If you have any questions or concerns, feel free to hit us up in our Facebook Group. Otherwise, happy optimizing!